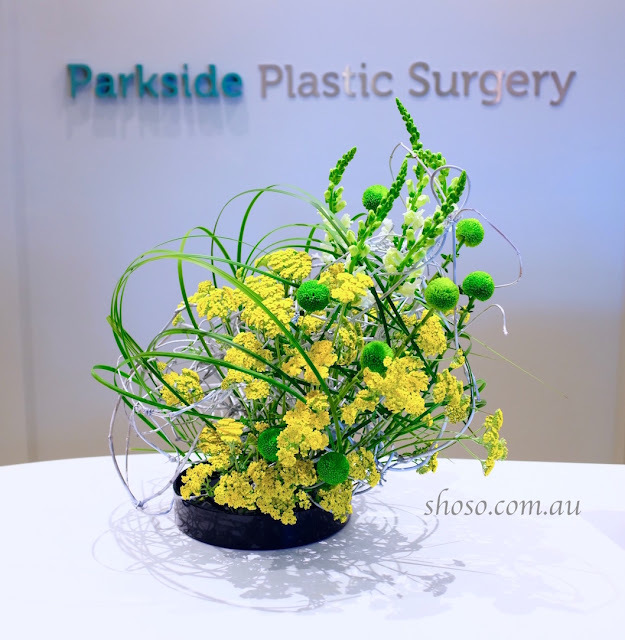 How has contemporary Ikebana became what it is now? It might be timely to briefly revisit the history of Ikebana. This time I’ll focus on the social conditions of the Ikebana booms in the history of Japan. 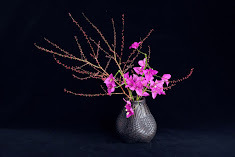 Ikebana booms occurred at three times; in the late Edo period, in the Meiji era, and after the war. Why did Ikebana become popular at certain points in history? The simple style Tatehana first appeared in the Muromachi period (1336 - 1573). Tatehana gradually evolved into the Rikka style, which reached its peak in the early Edo period. Up to around this period, Ikebana was practiced by limited number of people, mainly upper class members of the society. The majority of people could not afford to do Ikebana due to the fact that society was unstable. But Japan experienced an exceptionally peaceful time in the Edo period, when there were no major wars for about 260 years (1603 - 1868). No other nations have enjoyed such a long period of peace in human history. Generally Japanese people regard the Edo period as a dark period of feudal society prior to the Meiji Restoration that modernised Japan. However, the Edo period was a really special period when the Japanese economy and culture developed significantly due to this social stability. It was probably during the Edo period that Japanese common women first began to enjoy leisure activities. One of their interests was flowers. Unfortunately, however, typical Ikebana that time was Rikka, a sophisticated but extremely complicated style, which normally requires a few days to create. Naturally ordinary women could not afford to spend that much time. Then, someone bravely simplified Rikka and developed the Seika style. All you need to create Seika is to fix three main branches or flowers, representing earth, heaven and people, and create an asymmetrical triangle. This was a simple but elegant new style of Ikebana. It was a phenomenal success, creating a large number of Ikebana students and new schools. That was the first Ikebana boom in Japan. The lesson is to identify a new need, develop a product to meet it, and your business will succeed. Actually each of the three Ikebana booms has its own special style to sell. This year I’ll talk about environmental art at the Lorne Sculpture and at the International Academic Forum in Kobe. I have been selected as featured presenter at the Kobe conference. Very challenging! The image here is my work for reception of a clinic. If your business requires high quality flowers weekly, please contact us.